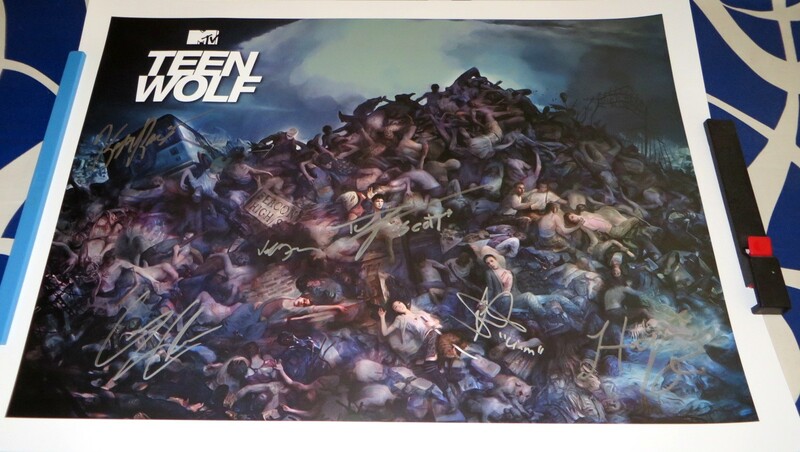 Roughly 18 by 24 inch Teen Wolf artwork poster of the cast autographed in silver marker by stars Tyler Posey, Holland Roden, Dylan Sprayberry, Khylin Rhambo and Cody Christian plus creator and executive producer Jeff Davis. Obtained at very limited 2016 San Diego Comic-Con signing, with certificate of authenticity from AutographsForSale.com. ONLY ONE LEFT.